Set behind stable gating with a 90 foot driveway this very impressive residence oozes exclusivity offering spectacular size and unique features. It's not hard to see why the current owners fell in love with this property, as soon as you enter the house it has a sense of warm and calm feeling giving lots of space with a contemporary feel. This meticulously well planned out home comprises of downstairs WC, good size kitchen diner, two beautiful reception rooms, four double bedrooms and family bathroom. The gardens have been beautifully maintained and there is an internal garage and approx 90 foot driveway. 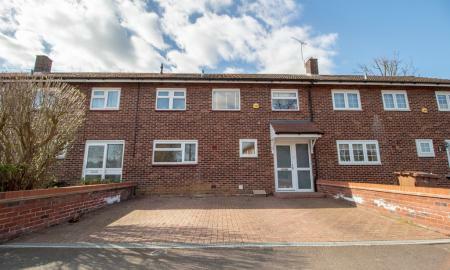 This ideal purchase is in a very desirable sought after area within easy walking to the picturesque Historical Old Town of Stevenage and also within easy reach of the main train station, which gets to London Kings cross in approx. 23 minutes. Also nearby are local amenities and excellent schools. Although this property is spacious it can also benefit from extending in many ways. A truly exceptional three bedroom 1950's (approx) cottage with many bespoke and quality features one of which are the views overlooking rolling countryside. This captivating spacious family home is deceptive from the outside as there is ample living space with options to extend. This ideal property is set back from the road and behind established trees and fencing leading to a graveled driveway for parking up to 4 cars. 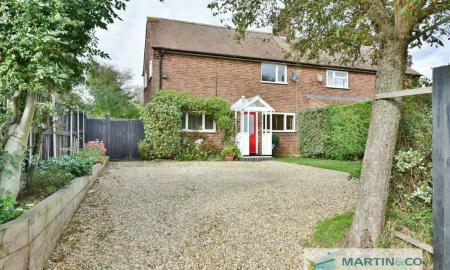 This beautiful extended three bedroom semi-detached property is ideally located in the peaceful and picturesque village of Walkern where there are two highly rated Primary Schools and all local amenities. Approximately 3 miles from Stevenage New Town where you will find retail parks including Debenhams, good restaurants, bars and ample choice of shops and supermarkets in the main town centre. Stevenage Mainline Train Station provides fast trains to London only taking 20 minutes. VIEWING HIGHLY RECOMMENDED! . A rare opportunity to purchase this CHAIN FREE two bedroom cottage design that has an exquisite and contemporary feel with an expression of individuality. This approximate 12 year old property is a credit to the current owner and is set within an exclusive gated development amongst an abundance of landscaped grounds. This lovely home comprises of a welcoming hallway, downstairs WC, good size well equipped kitchen and wow factor lounge/diner leading to conservatory providing added reception space with views of the picturesque gardens. Master bedroom with en-suite, further double bedroom, family bathroom and private enclosed rear garden along with further garden space set within the grounds. Being a tucked away location on the edge of Aston Lane situated close to Stevenage Golf Club this property is also within easy reach of all amenities including the main Stevenage Town Centre and Historic Old Town where you will find Waitrose Supermarket and a good choice of restaurants and bars. An immaculately presented home lovingly improved and maintained by the current owner. There is a great feeling of spaciousness and light throughout the house and with the three double bedrooms, private fully enclosed rear garden and DRIVEWAY PARKING FOR UP TO 4 CARS this is an exceptional family home. Set towards the end of a quiet cul-de-sac the property is within WALKING DISTANCE TO NEW AND HISTORIC OLD TOWN CENTRES AND MAINLINE TRAIN STATION. All local amenities are nearby and a viewing is highly recommended to appreciate this property. 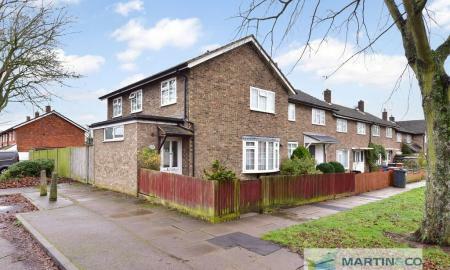 Martin & Co present this truly SPACIOUS 3/4 bedroom SEMI-DETACHED HOME with off road driveway parking for up to 4 cars. Superb living space ideal for entertaining or pure relaxation including an extra room that can be used for many purposes including ground floor bedroom, study or playroom. This well designed ground floor living space comprises of large welcoming hallway, good size lounge, spacious kitchen/diner over looking private rear garden and also benefiting from large Utility Room with downstairs WC. Upstairs you will find two double bedrooms and a very good size single room plus family bathroom. Close to all local amenities including doctors, dentists, local shops and schools and local transport taking you to the New and Historical Old Town Centres of Stevenage plus Mainline train Station with its fast trains to London Kings Cross in 21 minutes. 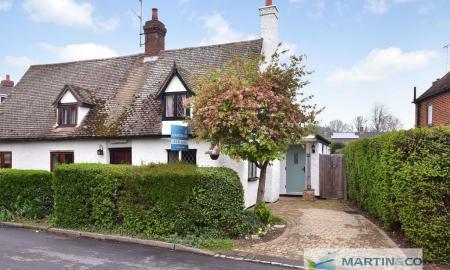 If your dream is to own a two bed cottage that has immense character and charm, that retains a great deal of exquisite detail whilst also enjoying the tranquil location of a semi-rural spot in the desirable area of Shephall Green then look no further. This special individual home comprises of two extensions to side and rear creating inner hallway and downstairs WC, well equipped kitchen, good size lounge with Inglenook Fireplace, dining area, two double bedrooms and recently fitted shower room. The property also enjoys a well manicured garden and driveway parking for 1-2 cars. A stones throw away is a friendly local pub and also within easy reach are local amenities and public transport to the New and Historic Old Towns of Stevenage and mainline train station with its 20 minute fast trains to London Kings Cross. Viewing highly recommended to avoid disappointment. 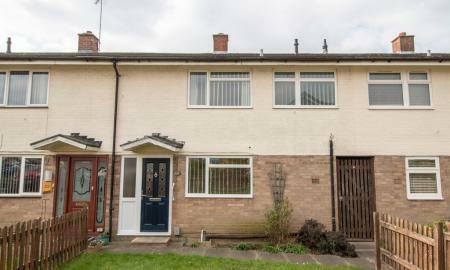 An exciting opportunity to purchase this large four bed end of terrace property. This ideal property has been extended creating a large welcoming hallway with bespoke features. 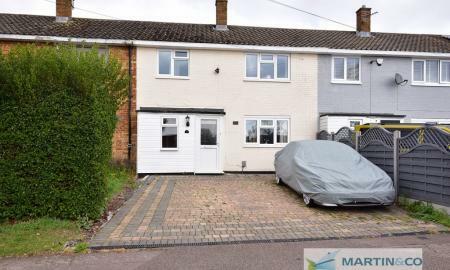 The property comprises of downstairs wet room with separate WC, good size kitchen also benefiting from separate utility room and spacious lounge/diner, four excellent size bedrooms with family bathroom and good size rear garden with GARAGE and parking to rear. There is also ample parking to the side. 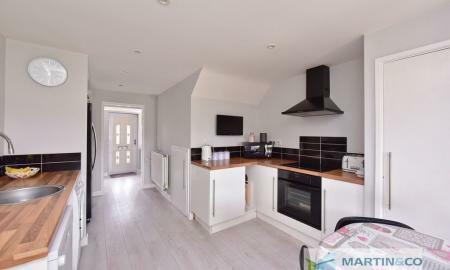 The property is within easy walking distance to public transport taking you to the Old and New Town Centres of Stevenage and the Mainline Train Station with is fast trains to London Kings Cross taking only 20 minutes. Local amenities are on the doorstep including doctors, dentists, local shops and choice of Primary Schools. A captivating, meticulously well planned contemporary family home that offers a unique interior and is a credit to the current owners. This impressive home has the wow factor the moment you walk through the door and oozes distinct bespoke features. Comprising of single full width extension to the rear creating ideal dining and living space, downstairs study, well equipped kitchen, 'L' Shaped Hallway with downstairs WC, three good size bedrooms and modern equipped family bathroom. Professionally landscaped enclosed garden to rear, blocked paved driveway with parking up to three cars and garage opposite the property with driveway. Ideally located close to all local amenities including schools, doctors, dentists and shops it is also within easy walking distance to public transport taking you to the New and Historic Old Town Centres of Stevenage and mainline Train Station with its fast trains to London Kings Cross in 20 minutes. Viewing highly recommended! STUNNING, FULLY RENOVATED THREE BEDROOM HOUSE. ***CHAIN FREE*** Immaculately presented throughout this property has undergone a complete transformation including NEW KITCHEN, NEW BATHROOM, COMPLETE RE-WIRING and NEW PLUMBING TO INCLUDE NEW BOILER AND RADIATORS. The property comprises of large lounge, dining room, new modern kitchen, downstairs WC, three good size bedrooms and new contemporary bathroom. There is also a fully enclosed well presented rear garden and front garden plus GARAGE to the rear. Located in a sought after area of Stevenage all local amenities are within walking distance including local shops and good Primary Schools. Local transport is close by taking you to the New Town and Old Historic Town centres of Stevenage and Mainline Train Station with its fast trains to London Kings Cross in 20 minutes. 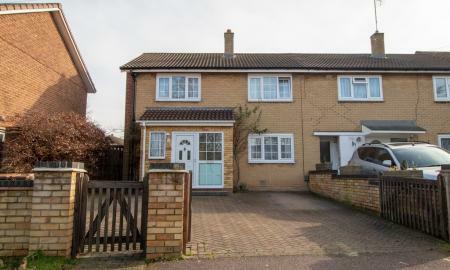 Martin & Co are proud to present this CHAIN FREE desirable, spacious four bedroom semi-detached property in a sought after area. 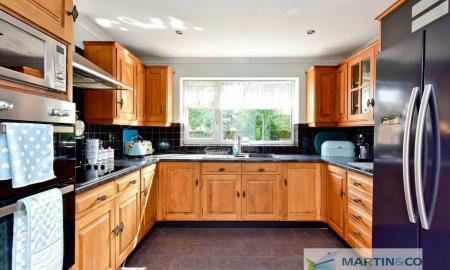 This ideal family home is presented in very good order and includes many features. A welcoming hallway with utility room and downstairs WC following through to open plan living space with good size kitchen, large private well maintained rear garden, good size lounge with front views and two good size double bedrooms with a further two decent size single bedrooms. Portable hive thermostat control panel. Ample on road parking and public transport within easy reach taking you to the Old and New Town Centres and Mainline Train Station with its fast trains to London Kings Cross in only 20 minutes. All amenities are close by including doctors, dentists, local shops and choice of Primary Schools plus retail parks with restaurant, bars and department stores including Debenhams. 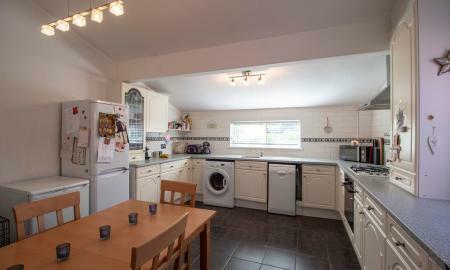 IMMACULATELY PRESENTED THREE BEDROOM HOUSE IN THE POPULAR BROADWATER AREA OF STEVENAGE. The current owners have lovingly refurbished this property resulting in an ideal family home ready to move into. 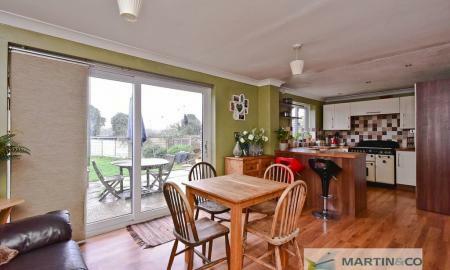 There is lots of living space including a conservatory, spacious living room and large modern kitchen. Upstairs you will find three good size bedrooms and contemporary bathroom whilst the impressive garden boasts a wooden gazebo covering an ideal area for entertaining or relaxing. All local amenities are on your doorstep including, doctors dentists and local shops plus a choice of Primary Schools. A viewing is highly recommended to appreciate this lovely home. Superb, spacious family home backing on to the peaceful woodland area of Fairlands Valley Park. 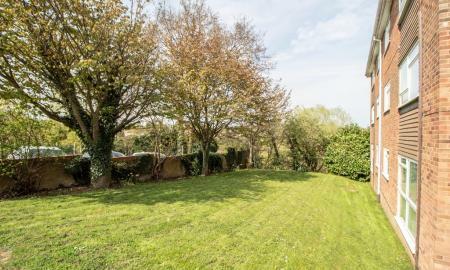 The current owners fell in love with this property for the space it affords, the quietness of being located on a cul-de-sac and the adjacent wooded area. Internally there are three good size reception rooms, large kitchen, downstairs WC and THREE DOUBLE BEDROOMS. 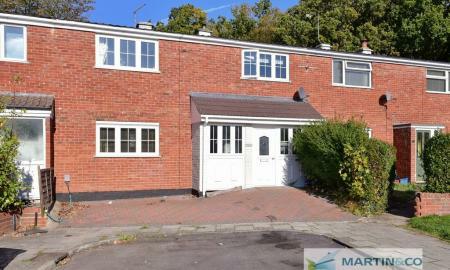 Lovely fully enclosed rear garden and DRIVEWAY PARKING add to the appeal of this great home. Viewing highly recommended. An exciting opportunity to acquire this loving home that has a highly desirable and unique layout. Although this is a straight move in to property there are still many adaptions that could benefit to the size and layout. The current owners fell in love with this house the moment they walked through the door particularly from the warmth and cosy feeling throughout. This family home offers lounge with good living space, excellent size kitchen, downstairs WC, three good size bedrooms, study/utility room and family bathroom. There is a private enclosed rear garden and ample off road parking. Ideally situated within a no through road in the popular location of Hertford Road close to all amenities and within walking distance to public transport taking you to the New Town and Historic Old Town Centres of Stevenage and both Stevenage and Knebworth Train Stations. A toast to your new home, this classic, contemporary property is sure to attract plenty of suitors. 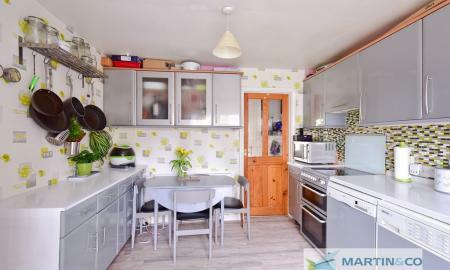 Relax in the comfort of this spacious modern living three bed mid terrace family house. Comprising of inner hall, good size lounge, well equipped spacious kitchen/diner, two good size double bedrooms, spacious single bedroom, family bathroom and large fully enclosed private rear garden. Blocked paved driveway with parking up to two cars. 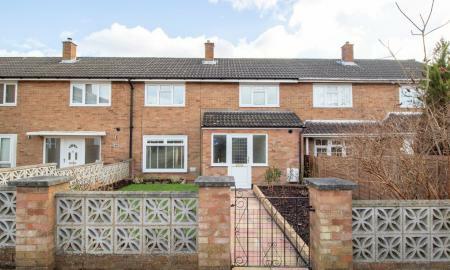 This ideal purchase is perfectly situated within close proximity of local amenities including shops, doctors, dentists and good local primary schools. Also public transport within walking distance taking you to the New and Historic Old Town Centres of Stevenage and mainline Train Station with its fast trains to London in 20 minutes. To make this home your home call Martin & Co to arrange a viewing. Martin & Co welcome to the market this spacious three bedroom mid terrace family home comprising of inner hallway, downstairs WC, kitchen with separate dining area, lounge, three good size bedrooms, family bathroom, good size bathroom and driveway parking to the rear. This ideal purchase is situated in a sought after area of South Stevenage off the Hertford Road close to amenities, good schools and within easy reach of Public Transport direct to the New and Historic Old Town Centres of Stevenage and mainline train station with its 20 minute fast trains to London Kings Cross. ***CHAIN FREE*** Pleasantly situated, this tucked away three bedroom mid-terrace family home has been owned by the current owners for a number of years. This ideal purchase comprises of hallway, spacious kitchen/diner, good size lounge, family bathroom, three good size bedrooms and south westerly facing enclosed garden. 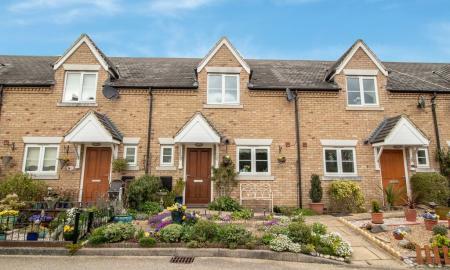 Within easy walking to local amenities, good local schools and public transport taking you to the New and Historic Old Town Centres of Stevenage and Mainline Train Station with its fast trains to London Kings Cross taking only 20 minutes. 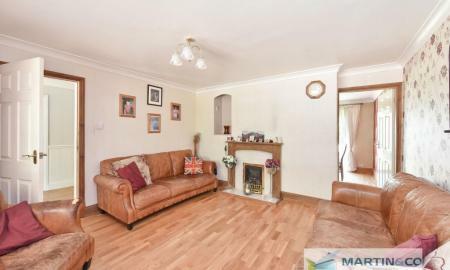 Set in a popular road, Martin & Co are pleased to offer this spacious family home. This is a thoughtfully planned out property and is well proportioned with scope for improvement. This ideal purchase is WITHIN WALKING DISTANCE TO BOTH NEW TOWN AND OLD TOWN where you will find lots of wine bars, restaurants and supermarkets and both Primary and Secondary Schools. Also within minutes walk is the main train station, where the fast train to London Kings Cross takes approximately 23 minutes. 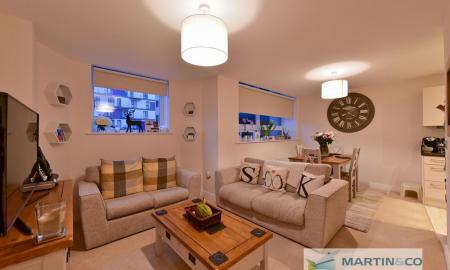 There is also fast and easy access to Farringdon Station, Gatwick Airport and Brighton. IDEAL FOR THE COMMUTER. Spacious lounge/diner ideal for entertaining , three good size bedrooms, fully enclosed garden plus DRIVEWAY PARKING. ***CHAIN FREE*** If you are wanting something special then this is a fantastic opportunity to purchase this tucked away true little gem that has oodles of immense personality. This wonderful family home has many bespoke features and is presented in good order throughout. The property comprises of a good size lounge, well equipped kitchen, utility/storage, two double bedrooms, bathroom and fully enclosed garden. All local amenities are nearby including primary and secondary schools and public transport is within walking distance taking you to the New and Historic Old Town Centre of Stevenage and Mainline Train Station with its fast trains to London in 20 minutes. AN AMAZING OPPORTUNITY FOR FIRST TIME BUYERS TO GET ON THE PROPERTY LADDER with the opportunity of purchasing this 40% share ownership for £74,000. A rare opportunity to acquire this CHAIN FREE spacious second floor one bed apartment benefiting from hallway, good size double bedroom, contemporary open plan living space including lounge, dining and kitchen area, modern bathroom, phone entry system, lifts to all floors, communal gardens and ample parking. The apartment is within a few minutes walk of the main train station with its fast trains to London Kings Cross taking approximately 20 minutes. Also, within walking distance to the New and Historic Old Town Centres of Stevenage with its numerous restaurants, bars and retail parks where you will find further restaurants, bars and Debenhams Department Store. VIEWING HIGHLY RECOMMENDED as this won't be on the market very long. STUNNING TOWN CENTRE APARTMENT WITH VERY SPACIOUS OPEN PLAN LIVING AREA. 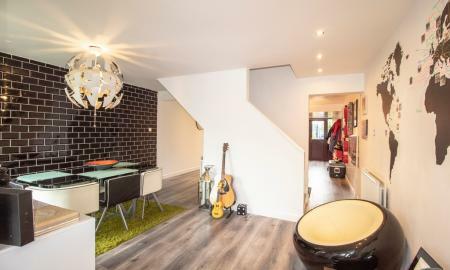 Within a couple of minutes of walk to the Mainline Train Station with its 20 minute fast trains to Kings Cross this apartment has a feeling of quality and space throughout. From the modern and contemporary style kitchen fittings to the large windows letting in lots of light and the Skyline Concierge service this affordable apartment could be your first step on the property ladder. VIEWINGS HIGHLY RECOMMENDED. A true gem welcomed to the market by Martin & Co. This spacious one bed ground floor apartment occupies an excellent position in the highly sought after area of Hertford Road. 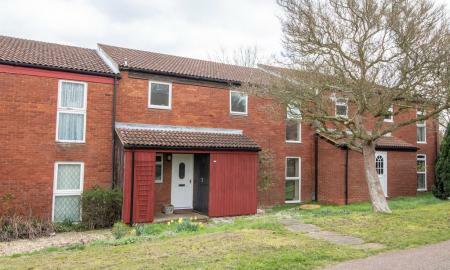 With scenic views of the Water Meadow this ideally situated CHAIN FREE purchase comprises of good size hallway, lounge/diner, bathroom, double bedroom and kitchen. The property also comes with AMPLE PARKING. Within easy reach of all local amenities including shops, doctors and dentists, public transport is also within walking distance taking you to the New and Old Town Centres of Stevenage and Mainline Station with its fast trains to London Kings Cross in 20 minutes. AN AMAZING OPPORTUNITY FOR FIRST TIME BUYERS TO GET ON THE PROPERTY LADDER purchasing this 40% share ownership. A rare opportunity to acquire this CHAIN FREE spacious second floor one bed apartment benefiting from hallway, good size double bedroom, contemporary open plan living space including lounge, dining and kitchen area, modern bathroom, phone entry system, lifts to all floors, communal gardens and ample parking. The apartment is within a few minutes walk of the main train station with its fast trains to London Kings Cross taking approximately 20 minutes. Also, within walking distance to the New and Historic Old Town Centres of Stevenage with its numerous restaurants, bars and retail parks where you will find further restaurants, bars and Debenhams Department Store. VIEWING HIGHLY RECOMMENDED as this won't be on the market very long.